In the user-centric world we live in today, putting the user at the forefront of all the desicion making around your website is important. This articles draws on alot of what we have learnt from working with clients but also from the fabulous Paul Boag. Customer Journey Mapping is like a visual story which will provide you with key insights into your customers journey on the website. It helps gather an idea on where your customers come from, any questions they may have and it will give you opportunities to improve the experience. If a user is getting lost in tons of unrelated content or abandoning basket journeys, Customer Journey Mapping will help you identify and map those pain points into plans for improvement. Most of all, it reveals changes in your customers behaviours and provides context. It acts as evidence and helps as research to show website decison makers what exactly they should be focusing on. How to do Customer Journey Mapping? We normally start with a workshop making sure that key stakeholders are involved. The sooner you can get these people thinking about user experience the better. Start getting ideas on what customers come to your website for. 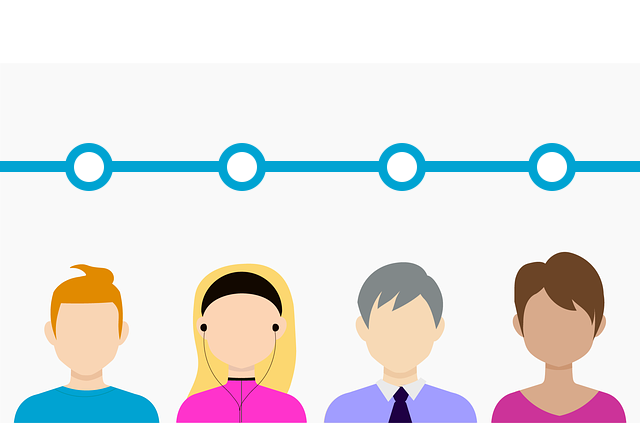 Personas tie in closley with Customer Journey Mapping. If you've already gathered Personas, great - you can run through them and start to get ideas on the journeys they could take on the website. Don't get too bogged down in producing a final map, use the session as a great way to start getting the client focused on user experience and just talking about the customer. Include people that understand the customer journeys and influencers that may not be as familiar. Try to include people form all touch points, this could be people from customer service who have regular contact with the customer or people from Marketing that have insights into user behaviour (analytics, surveys etc.). Tasks. What is the user trying to achieve at this stage? What does the user want to know at this stage? How does the user interact at this stage? Emotions. What is the user feeling at this point? Weaknesses. How does the organisation let the user down at this stage? Influences. Who or what is helping to shape the user's decision? You can run the workshop however you feel is best and map out points that relate to your project. For more on the way Paul suggests, read his great article Customer Journey Mapping. The output of the workshops and some further research to validate the Customer Journeys should give you enough to create the user journeys. How you use them is important. Don't let them get lost in other documentation, make sure they are prominent and act as a reminder to the business. A great way is to get some infographics made into posters to hang on the wall around the business. Make them engaging and easy to understand. It doesn't have to be infographics, you could create a video, slide deck or storyboard. The main point is to have them as a reminder to people within the business to think of the customer and have their needs at the forefront of their thinking taking them away from organisational thinking. Customer Journey Mapping is just a small part in the Strategy and will not solve all of the User Experience issues. Here at Heavy Penguin, we think, coupled with Personas and other discovery workshops, Customer Journey Mapping is a very worth while experience. McHugh Web Services Ltd TA Heavy Penguin is a Limited company registered in England and Wales. Registered number: 07204750.